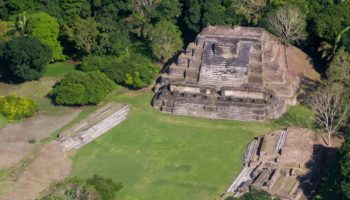 Sometimes referred to as Queen Cayes, Silk Caye is a stunning, often photographed isle located in southern Belize. The beautiful clear waters surrounding this stunning little isle teem with a large variety of marine life, including sea turtles, rays and sharks. 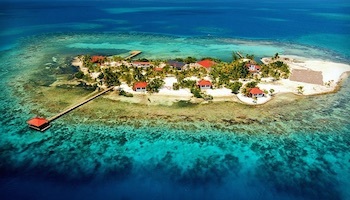 In 2009, Caribbean Travel and Life Magazine chose Silk Caye as its 15 most ultimate beach in the Caribbean. Glover’s Reef Atoll is a stunning atoll that consists of five islands and an almost continuous coral elliptical shaped reef. This atoll is located near the Cayman Trench, which reaches depths of 7,500 meters (25,000 feet) and is one of the deepest in the world. Not surprisingly Glover’s Reef Atoll, which also contains a protected marine reserve, is very popular with snorkelers and scuba divers as a large variety of sea life is drawn to both the atoll’s shallow lagoons and surrounding deep waters. This reef is named after John Glover, an infamous pirate who once used the atoll as his stomping grounds. This tiny island, which is roughly 800 meters (2,600 feet) in length, is a true tropical gem. Located just 9 km (14 miles) off of the coast of Dangriga, South Water Caye boasts stunning white sand beaches and glorious water views. 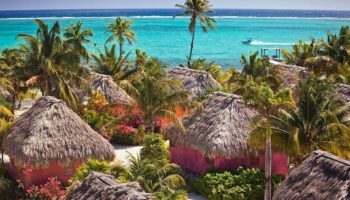 It also lies in the middle of the South Water Caye Marine Reserve, Belize’s largest protected marine park, which makes it a scuba divers and snorkelers dream. Visitors won’t even need a boat to visit the reefs, which are just a quick swim from South Water Caye’s shores. Visitors to Goff’s Caye will find a small isle, just 1.2 acres in size. Although small, Goff’s Caye is a pretty island that is blessed with sugar-white sands and lovely blue waters. Because this caye is located only 30 minutes by boat from Belize City, it is also a popular day trip. In addition, Goff’s Caye is also a popular excursion stop for cruise ships. Goff’s Caye features concessions on site for guests looking for a bite to eat or a chair in which to sit. In addition, because this caye is situated on the edge of the Belize Barrier Reef, snorkeling is one of the most popular activities for guests to this island. This small caye is located just 13 km (8 miles) away from Belize City. 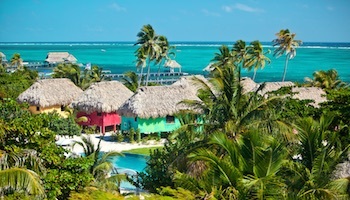 It is home to St. George’s Caye Resort, which features lovely over-water bungalows on stilts. The mood at this resort is very romantic and so children under 15 are not permitted as guests. Because St. George’s Caye was Belize’s first capital, visitors will find a number of charming colonial buildings on this island. 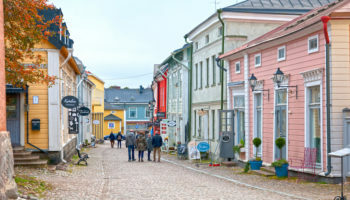 In addition, this island has been declared a historic landmark. Only three acres in size, Tobacco Caye is a small island located at the northern end of the South Water Caye Marine Reserve, approximately 16 km (10 miles) from Dangriga. 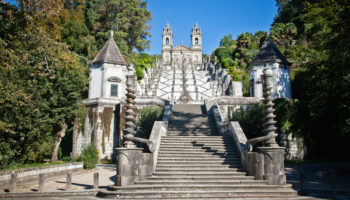 Travelers to this island can choose from 6 different small and modest lodges in which to enjoy some rest and relaxation. 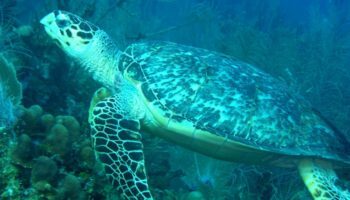 Because Tobacco Caye is located in a protected marine reserve, it is known for being an excellent spot for shore diving. Over the years, this cay has earned a devoted following among backpackers and snorkel and scuba enthusiasts. 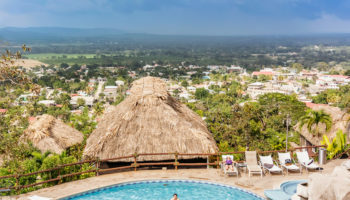 Located just 18 km (11 miles) off the coast from Placencia, Laughingbird Caye is a popular spot for visitors, snorkelers, scuba enthusiasts and anyone looking for a pleasant day trip. This mini atoll is a protected national park that stands on a faro, which is a ringed reef that surrounds a lagoon. A large variety of colorful fish and other marine life call the waters of this national park home. This caye was named for the laughing gulls that once populated this island. Unfortunately, as the island became more popular with, the gulls relocated to quieter cayes. To encourage these and other birds to return to Laughingbird Caye, the island has been divided into three zones: Recreational, Buffer and Preservation. In addition, there are no overnight stays allowed on this tiny isle. Nature lovers will find much to like about Half Moon Caye, which is a national park and Belize’s first marine conservation area. This caye is home to over 90 different bird species — including frigates and red-footed boobies. It is also populated with interesting reptiles, including the Island Leaf-toed Gecko, which can only be found in Belize. 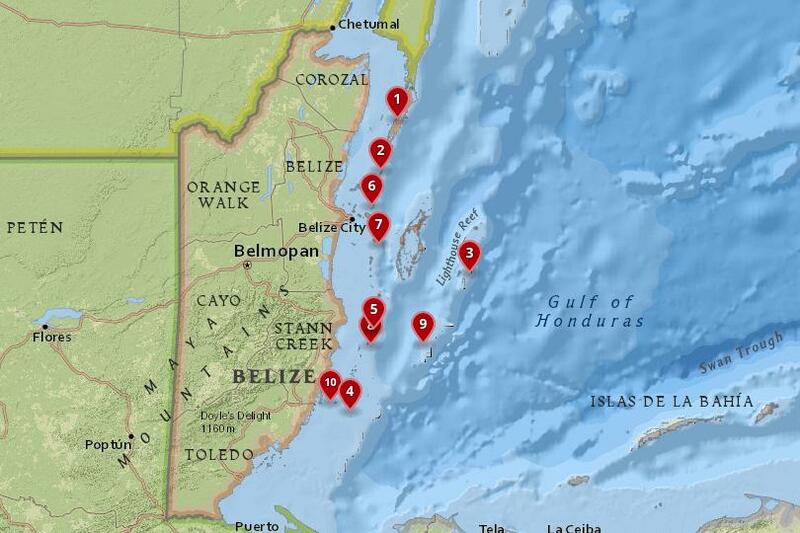 In addition, the waters surrounding Half Moon Caye are home to a large variety of fish species. Snorkelers and divers can enjoy either swimming through the shallow waters in Half Moon Caye’s lagoon or head out to its amazing wall. Half Moon Caye is located at the southeast corner of Lighthouse Reef, which is also the site of Belize’s arguably most famous diving spot, the Great Blue Hole. 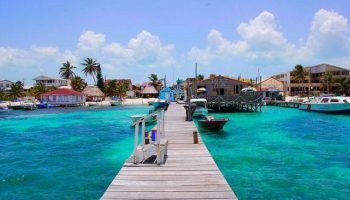 One of the best known Belize Islands, Caye Caulker’s casual atmosphere, cheap prices and abundance of bars and restaurants draw numbers of backpackers and tourists who are looking for a break from traveling around Central America. There are many dive shops on the island, and several dive tours are available to premier spots like Hol Chan Marine Reserve, Turneffe Atoll, Caye Caulker Marine Reserve and the famous Blue Hole. A narrow water canal, called “The Split,” offers a swimming hole and picnic area. Lovely Ambergris Caye, which measures 58 km (36 miles) long, is the largest of Belize’s hundreds of small islands. 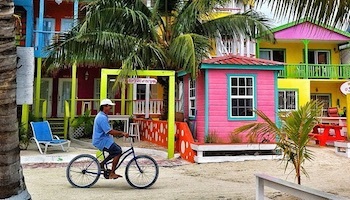 Most of the action on Ambergris Caye can be found in its biggest village, San Pedro. 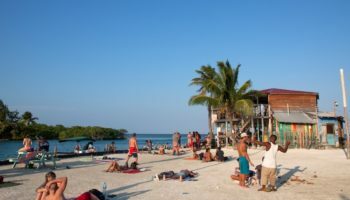 On this caye, which is home to approximately 7,000 people, visitors will find a large number of restaurants, bars and accommodations. Though most of the accommodations on Ambergris Caye tend to be relaxed and casual, a few luxury properties are starting to sprout up. Ambergris Caye is one of the best of Belize’s island for soaking in the sun during the day and partying at night. 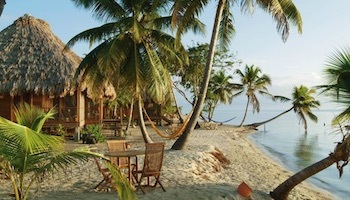 In addition, this lovely little caye was even named by Islands.com as the Best Island to Live On.